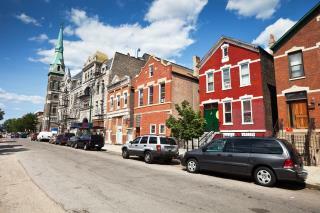 Pilsen (Chicago). See the Sun-Times for more details on the area that has "long been a first-stop neighborhood for many immigrants." Hey, why isn't Englewood in the south side of Chicago listed? So what exactly do they mean a "serious Wes Anderson" vibe?